Instructions on how to update the Line 6 Helix to the latest firmware. 1. Download and install Line 6 Updater from our software page. 2. 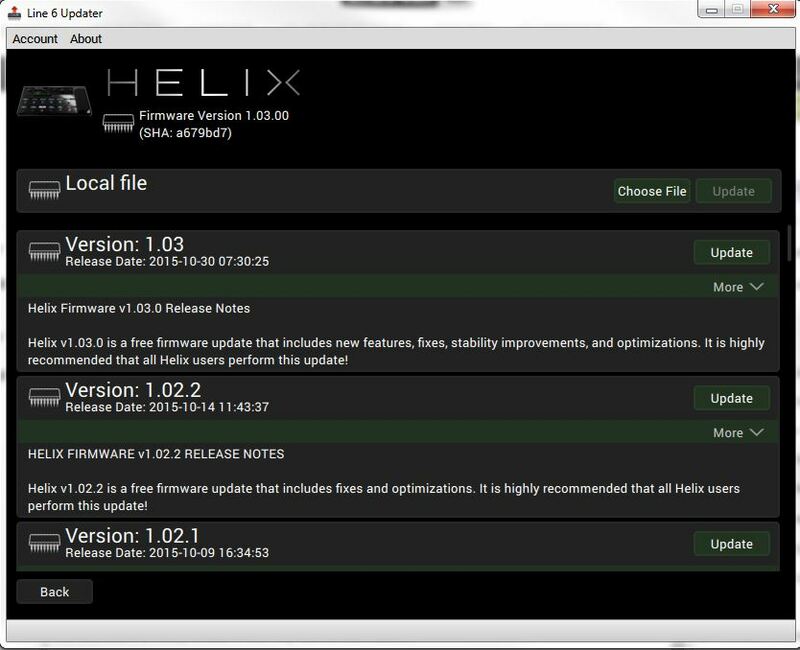 If you are using Windows, also install the latest Helix driver. 3.Once the driver is installed, plug in your Helix and wait for Windows to assign the driver and say the hardware is ready to use. This may take a few minutes. 4.Open Line 6 Updater and log in with your Line 6 user name and password. 6. Click on the latest (top) version to update the latest firmware. 7. Click continue and accept terms and conditions. 8. 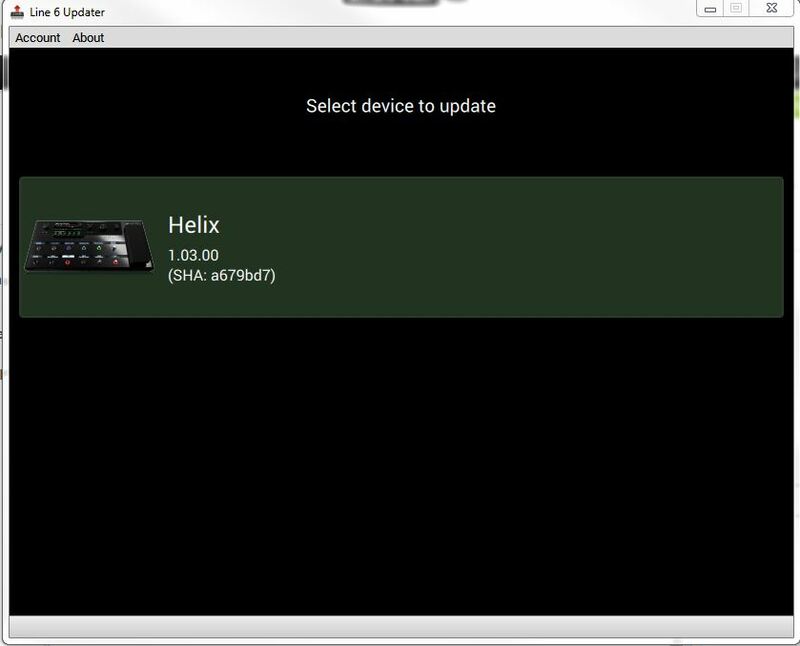 The Updater will then perform the update, do not turn off Helix until finished. If you would also like to re load the factory bundle and clear all presets and settings, Hold footswitches 9+10 on boot, or encoder 5+6 on the rack. This will clear your preset and reload factory bundle.